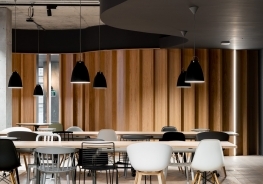 Varming Consulting Engineers were commissioned to design mechanical and electrical services installations for the Slack Offices fit out which was completed on a phased basis. The offices are located on the 4th floor of a multi tenanted, 8 storey building at One Park Place which has a central ice bank cooling system. 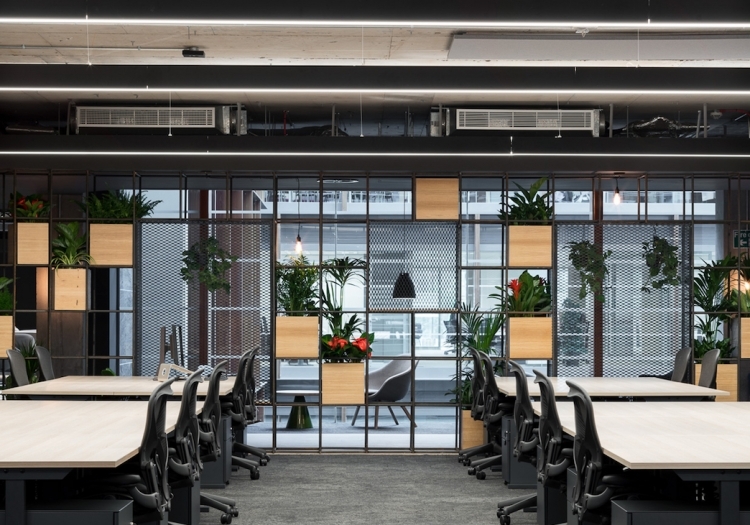 The offices are air conditioned by a four pipe system with fresh air introduced into a false floor plenum with swirl floor grilles. Lighting is exposed on concrete ceiling sections and is LED type with automatic controls. Building was rated BREEAM Good. Four pipe fan coil air conditioning system. Phase construction / immediate occupation. Fresh air through swirl floor grilles in a false floor plenum.